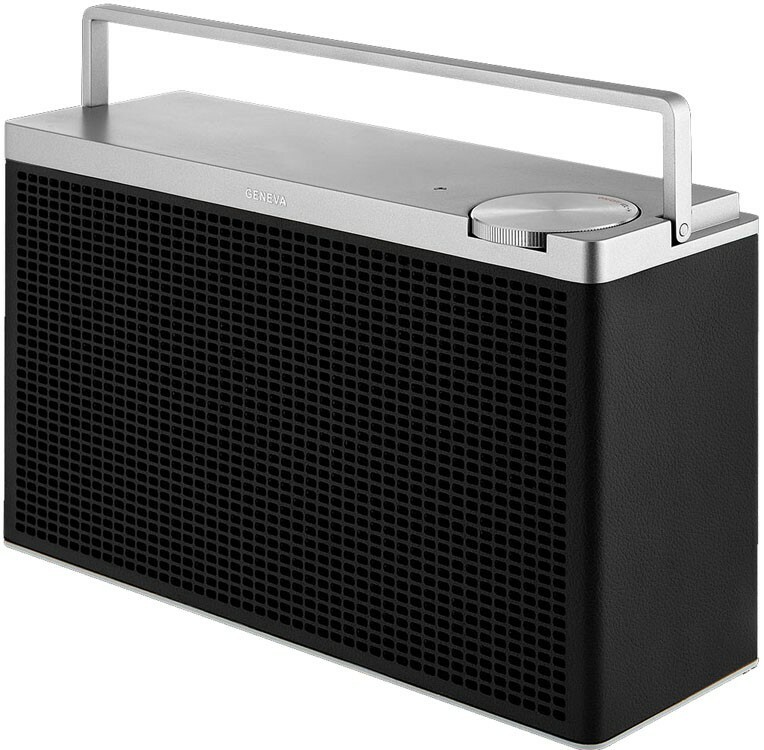 Big brother to Touring S, with the same hi-fi quality audio of Touring L, Touring M FM Bluetooth speaker system boasts convenient portability with a 30-hour battery life. Earn 220 loyalty points when you order this item. 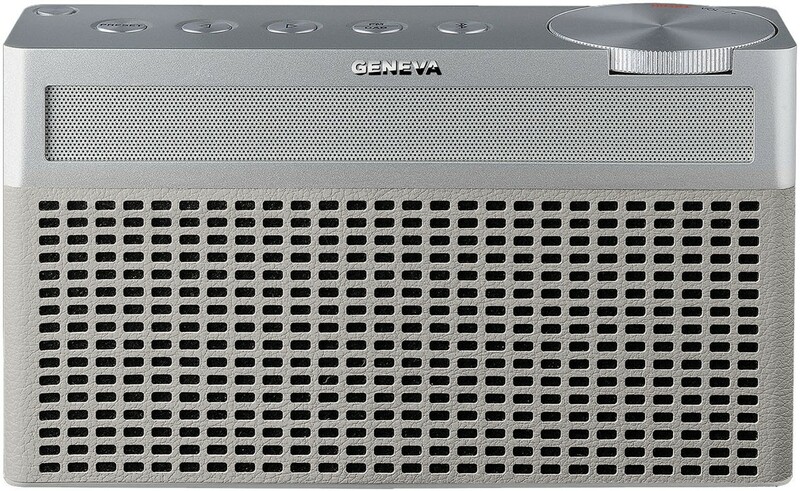 Geneva Touring M FM Bluetooth System delivers true Hi-Fi sound whether it's rap or classical. Instruments sound detailed and rich with bass that delves right down to 60Hz. 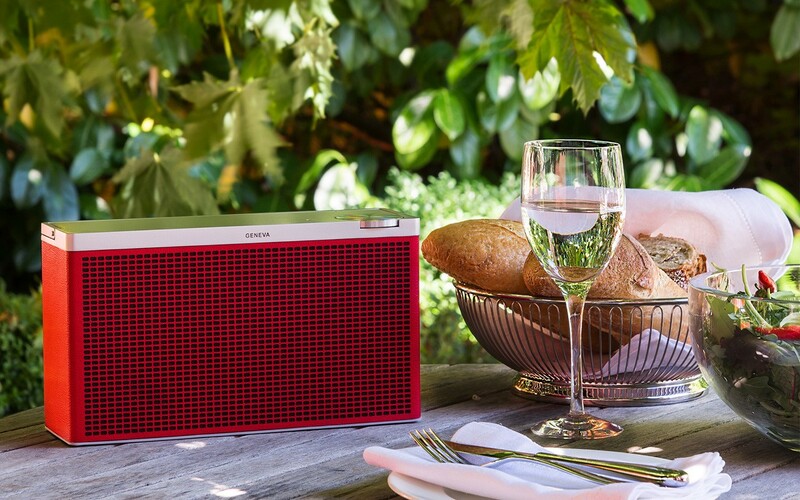 Voices are crystal clear and smooth, making talk shows more immersive. It’s all made possible by specially tuned drivers and class D amplifiers, which ensure consistent sound quality even at the highest volume. 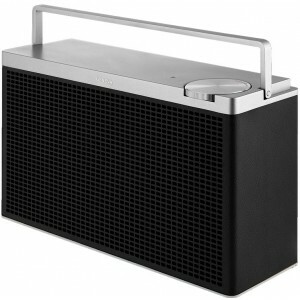 Inspired by the iconic portable radio, the Touring M brings subtle lines and solid materials together. 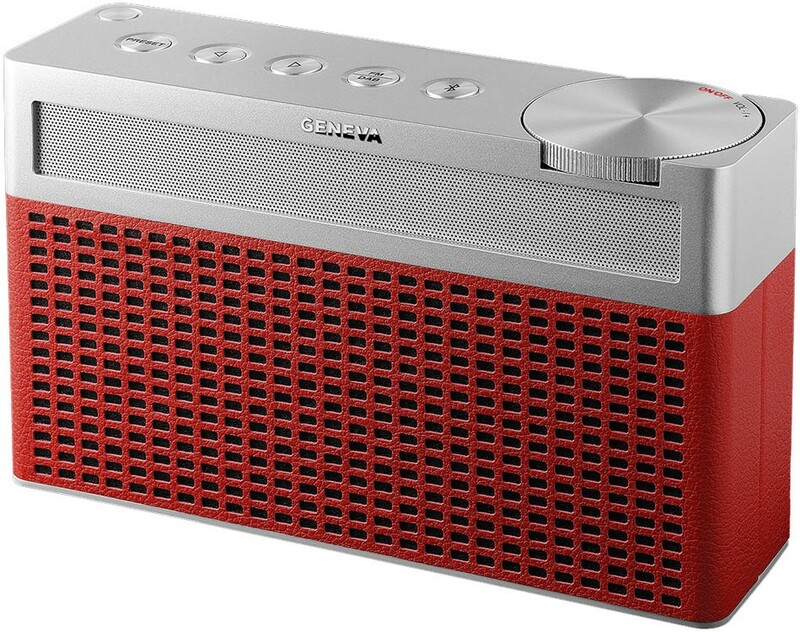 On the smooth aluminum top, you’ll find no buttons, just a big aluminum dial for direct connection to your music. At a total weight of 2.1 kg, you can feel the quality – everything is machined and engineered with Swiss precision. It’s topped off with eco leather that is usually reserved for high-end cameras. 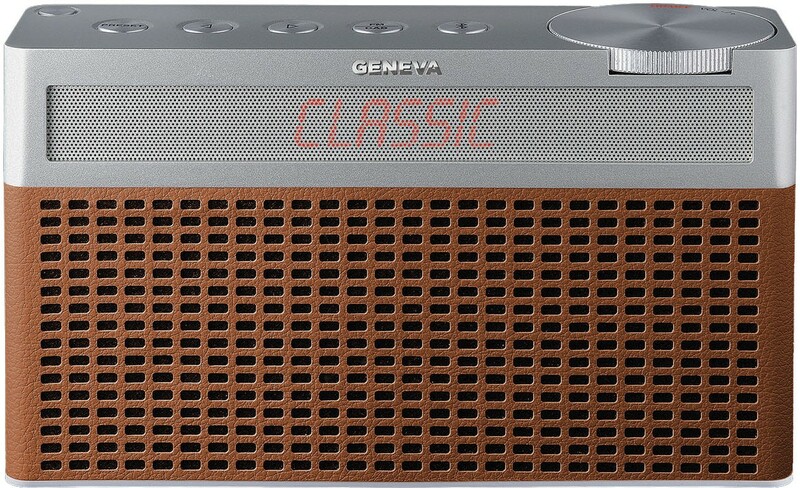 Geneva wants you to spend all of your time listening to music, not figuring out buttons or controls. That’s why the Touring M is very simple to use. Quickly use Bluetooth with auto-connect to stream from your digital devices in seconds, or plug straight in with a 3.5mm jack. The Touring M comes in a select number of colours. Choose from a black, white, cognac, or red leather finish.